Are the candidates you’re looking for also looking for you? In today’s tight labor market you can’t sit back and expect the best talent to come to you. With advanced contact and company data, recruiters are able to identify the right people at the right companies to target their recruitment efforts. With SalesIntel you can screen for titles, roles, contact info, company data, technologies used and organizational structure and ensure you’re always targeting your efforts at the right candidates. In today’s tight job marketplace, you need a multichannel approach to outreach so that you can reach candidates wherever they are engaged. Armed with verified email addresses, direct dial numbers and links to LinkedIn profiles you will see higher response rates, better engagement and fast-track the entire recruitment process. 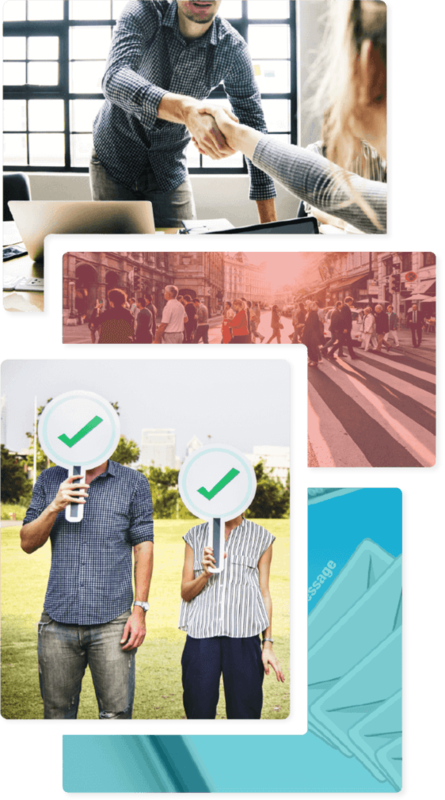 The most reliable contact data available allows you to create smarter strategic follow-up messages and get them straight to the right people through the right channels – helping you stand out in a crowded market. When internal changes within a company such as changes to title, roles, responsibilities, etc. are taken into consideration data decays as much as 60-70% per year. As a result, your candidate pool becomes out of date as quickly as you build it. Fortunately, SalesIntel’s world-class research team tests and re-verifies our data by hand, every 90-days. Now you no longer have to waste endless hours updating contact records and tracking down candidates at new companies and positions. Use SalesIntel to kick-start your recruitment journey! Improve your pipeline, forecasting, and revenue growth with reliable data for your outreach. SalesIntel keeps your data clean, accurate, and reliable.